Super quick post but I made a card for my Paper Craft Crew Challenge Design Team Card yesterday that I planned on using for my granddaughter's birthday card but changed my mind. The card worked well for the Paper Craft Crew Sketch but I wanted to make a few changes.. Here's what I did.. 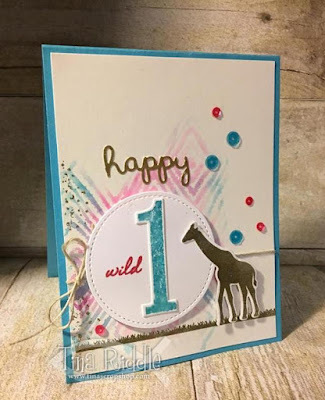 I used the Hero Arts My Monthly Hero June kit to heat emboss in gold the grass as well as heat emboss the giraffe and cut it out with the coordinating die. 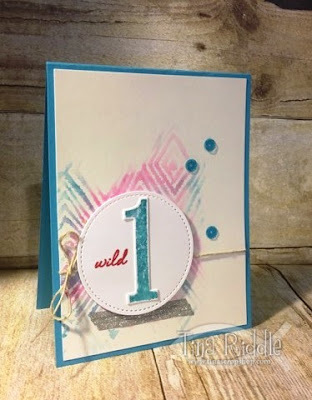 I added the "happy" die cut from the Lawn Fawn Happy Easter Die.. obviously I omitted the Easter when I cut the die out from Gold Foil Cardstock. I added a few pink sequins and a little bit of Gold Glitter Glue on the left side. I'm happy with how it turned out! I think she will love the giraffe and it adds a little something extra on it.